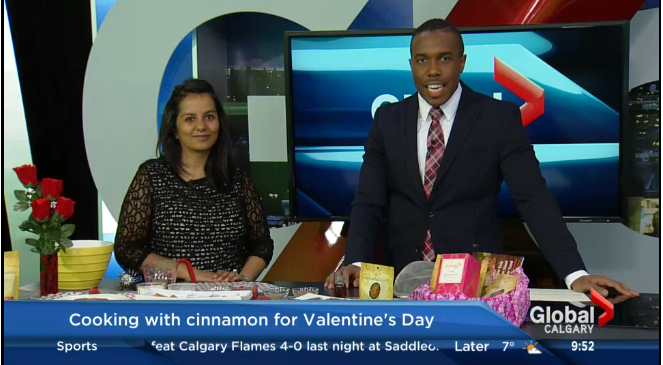 One week away from Valentine's Day and I was invited back to Global Calgary to talk cinnamon and showcase a healthy pancake recipe perfect for sharing with your sweetheart! There are a multitude of reasons why we should be incorporating more cinnamon into our diets but very few people know the differences between different types of cinnamon and which one is actually better for you. True Cinnamon is our bestselling spice and always receives stellar reviews from customers. To find out why you need it, click here to watch the segment and read more here. 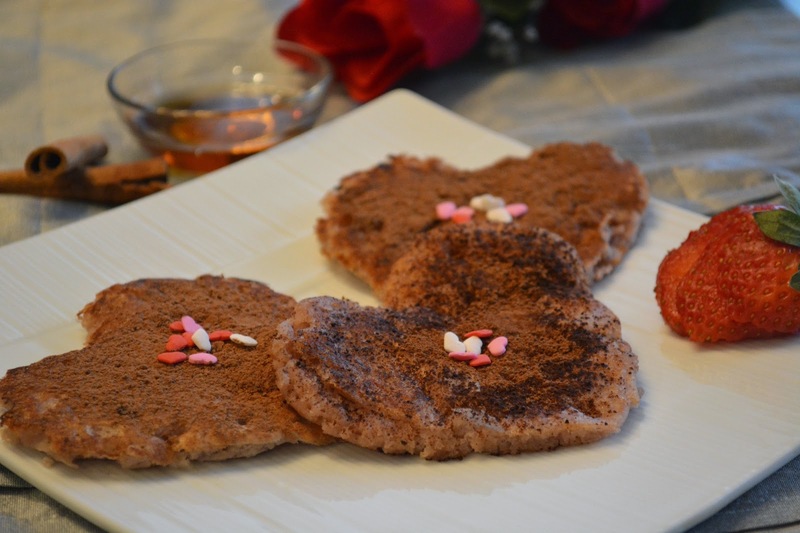 It's time to share that recipe so that you can plan an extra sweet and healthy Valentine's Day breakfast for your sweetheart! 1. Combine the flours, baking soda and cardamom in a bowl and mix well. 2. In a pan, reduce the strawberries down in about 100ml water on a medium heat until the berries soften and it is almost a puree consistency. 3. Add the reduced strawberries into the dry mixture and add the remaining water and whisk into a smooth fairly thick batter. If you need to add more water, do so. 4. Lightly grease the inside of your heart moulds, if using, and heat a little coconut oil in a non stick frying pan on a medium heat. Ladle enough batter to fill up the mould or one ladle to make a round pancake. 5. As soon as the outer edges start browning and you see holes perforating through, gently flip pancakes over. If you are using a mold, gently prize the edges away from the mold, lift the mold away before flipping the pancake. 6. Cook the pancake for another minute or so. Repeat until all the batter is used up. The batter will also keep in the fridge for a few days. When you are ready to serve, mix together the cocoa powder and remaining spices, using a sieve, sift the mixture generously over the pancakes and drizzle with some maple syrup.